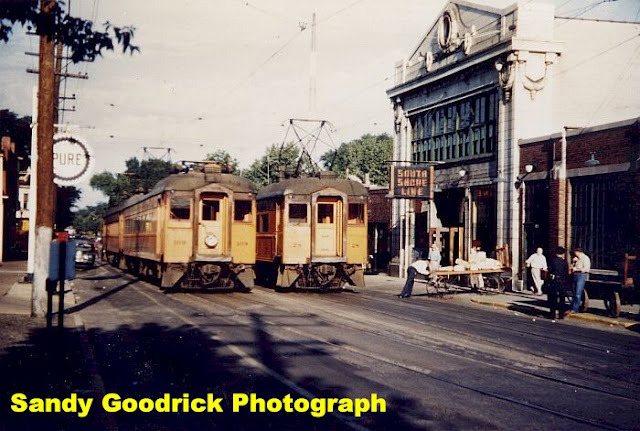 The "Old South Shore" Interurban railway still runs from downtown Chicago to Southbend, Indiana. It still has some flag stops where a passenger can ask the train to stop and pick them up from low volume stations. Back in the old days passengers would light a newspaper at night to signal the train to stop. The South Shore Line has flag stops. Back in the good old days you would flag a train and it would stop and pick you up. I did this at Calumet Harbor, a desolate spot with no sign of any kind of train station. I simply waived my hand and the seven car train stopped from 70+ miles per hour. I ran to the train and hopped off and off we went. People were surprised to see the train stop to pick me up. At night people would light a newspaper so the train would know that a passenger wanted them to stop. 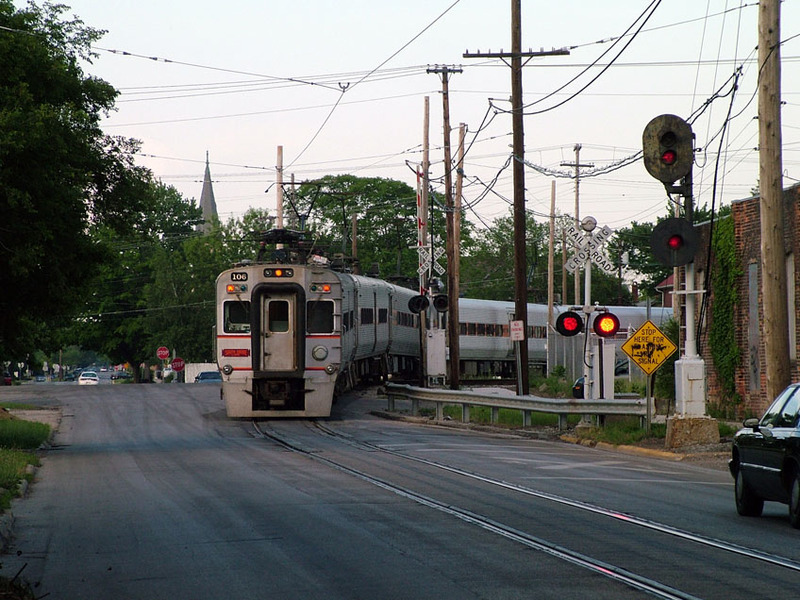 Now flag stops have a "push button located in or near the shelter to activate strobe light to signal train to stop. Please push button at least 5 minutes before scheduled departure time of train. Strobe light will turn off automatically after 10 minutes. Passengers should remain visible to engineer when standing at platform. There is no strobe at McCormick Place or 63rd St."
The interurban was an electric railway that was important in the eastern half of the United States from about 1890 to 1925. Interurbans provided passenger service between cities and towns. Interurbans were a cross between a streetcar and a train. There were 15,500 miles of interurban rail in the US in 1915. 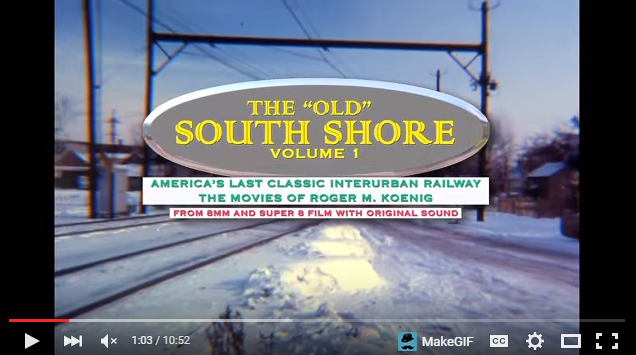 Interurbans in the Chicago region included the Chicago North Shore and Milwaukee Railroad (North Shore Line), the Chicago Aurora and Elgin Railroad, and the South Shore Line. The South Shore Line that services Chicago to South Bend is one of the last operations still running in the US that began life as an interurban. 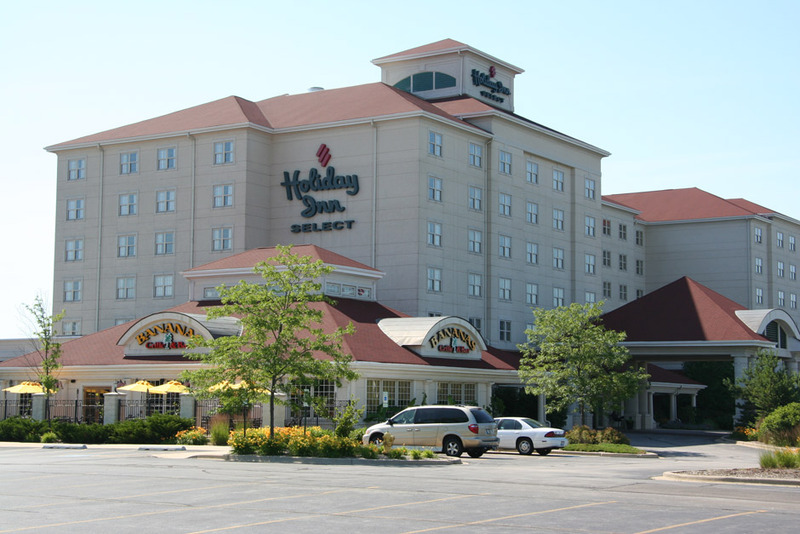 It still operates in Michigan City, Indiana down the middle of a street like a street car. The equipment is now modern electric rail equipment. Comparing electric interurban railways and "steam railroads". 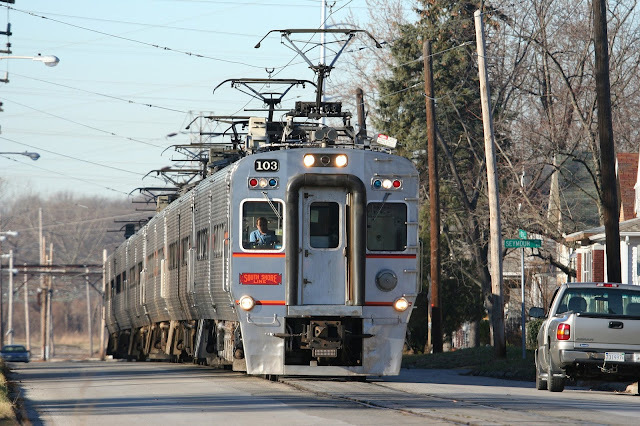 The three major interurbans entering Chicago were not typical interurban lines, enabling them to survive well beyond the 1930's, when most interurban lines were abandoned. 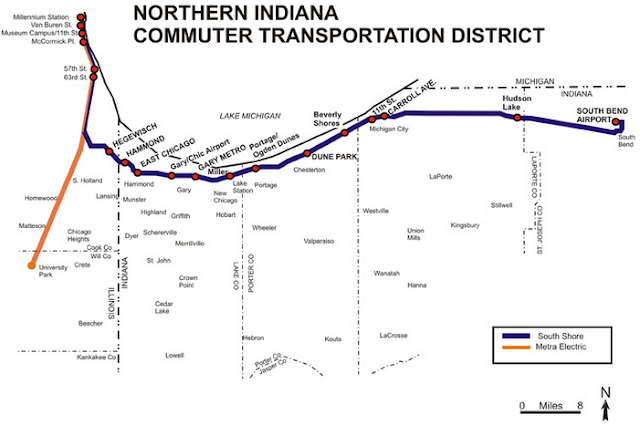 "America's Last Interurban" continues to operate between Chicago and South Bend, Indiana. 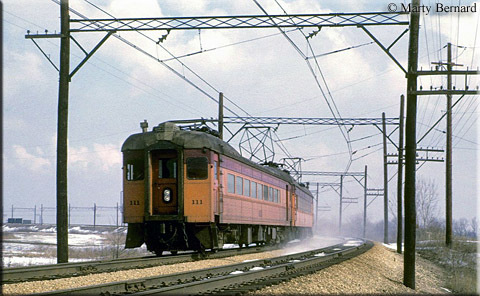 Operated until 1963 between Chicago and Milwaukee, Wisconsin. Operated until 1957 west of Chicago. These three major interurban lines entering Chicago were once controlled by Samuel Insull, who also controlled various electric companies including Chicago's Commonwealth Edison, along with other interurban lines in Indiana, and the Chicago Rapid Transit Co.
Insull acquired control of the Chicago North Shore & Milwaukee Railroad Co. in 1916, the Chicago Aurora & Elgin Railroad Co. in 1926, and the Chicago South Shore & South Bend Railroad in 1925. Insull resigned from control of all companies in 1932. The more traditional interurban lines were more local in nature, and were basically extensions of city streetcar lines into the country, and on to other cities. Such lines typically ran alongside country roads, which generally were not paved at the time. But the paving of such roads in the 1920's and 1930's made the local interurban lines obsolete, with buses able to do the job more economically. The first local transit routes in Chicago's suburbs were electric railways, including streetcar and interurban lines. Nearly all of these routes were replaced with buses during the 1930's, evolving to today's Pace bus system. 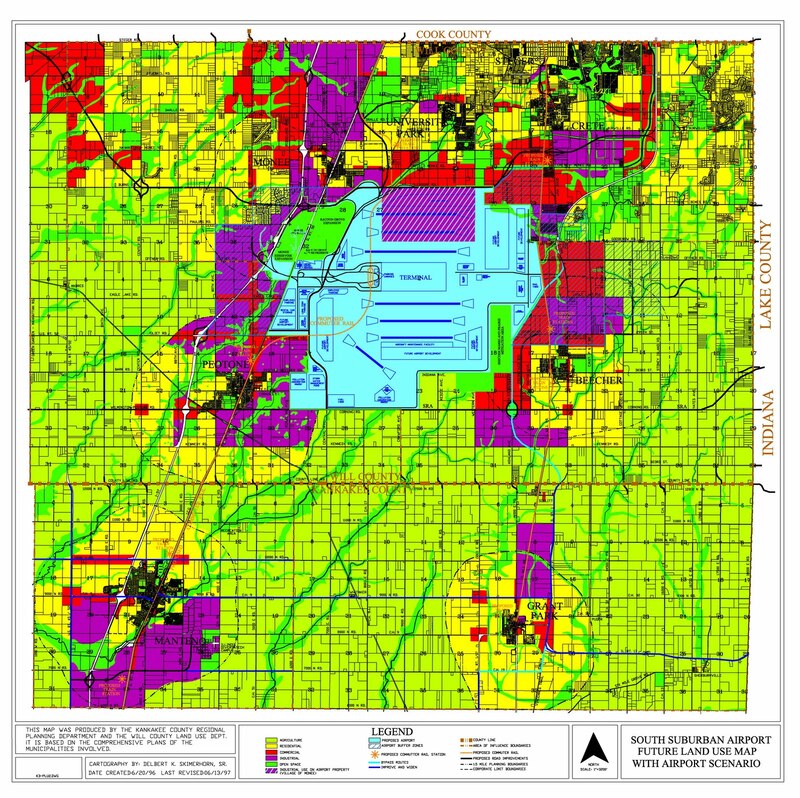 Local interurban lines did once extend beyond the Chicago area into northern Illinois. 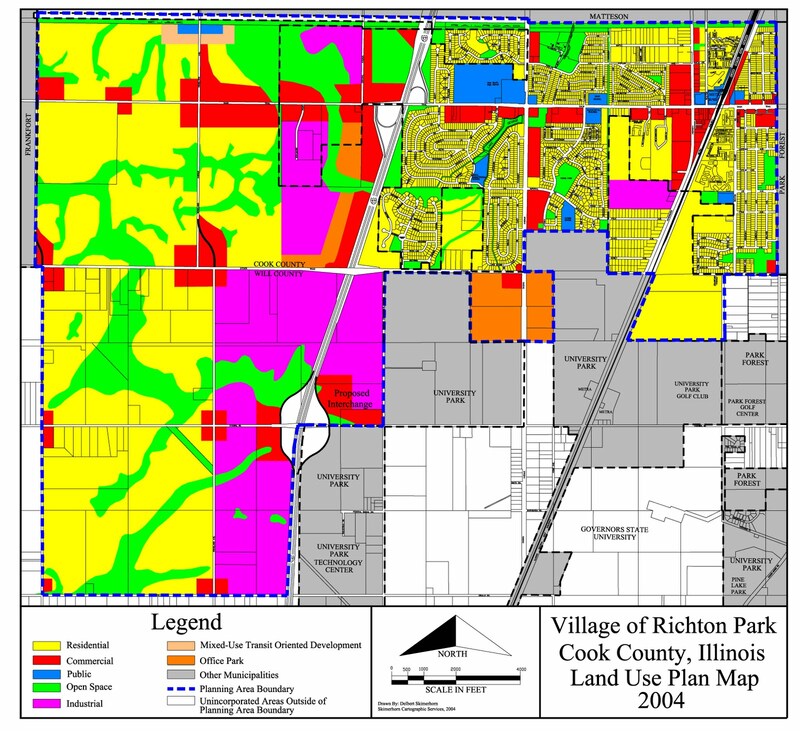 But outside the 6 county Chicago metropolitan area, public transit agencies were never approved, and local and interurban public transportation disappeared entirely. Some of America's most comprehensive interurban railway networks existed in the Midwest states beyond Chicago. 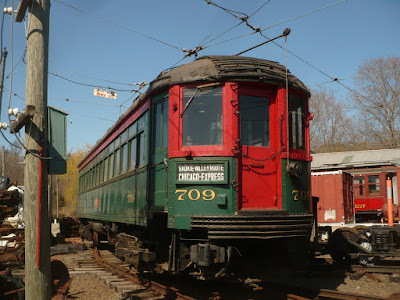 Beyond the Midwest, the development of interurban lines was generally quite fragmented, except in the densely populated northeastern United States, where many local electric railways existed and interconnected. HOW DID THE INTERURBANS DIE? The interurban industry is one of the most unsuccessful industries to ever exist in America. Included are misconceptions and myths, and what really happened to interurban transportation. 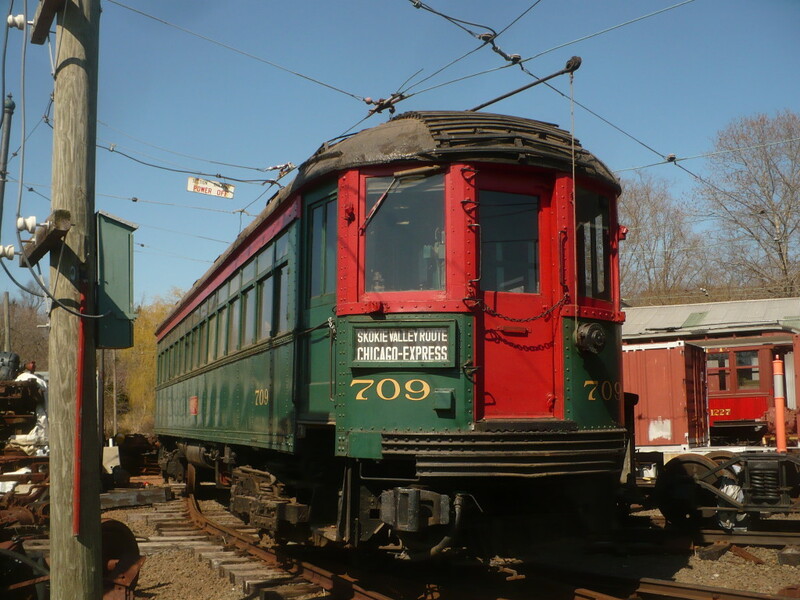 Jump to Power collection by rolling stock – Most interurban cars and freight locomotives collected current from ... An example of this was the Chicago, Aurora, and Elgin where a ... AC transmission lines, and AC/DC conversion systems. 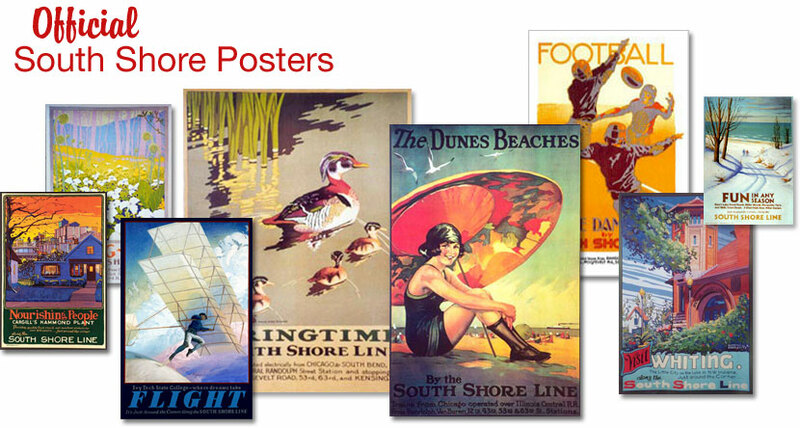 We invite you to join the Shore Line Interurban Historical Society and explore First & Fastest ... in what is now known as the Chicago Hub Network of Amtrak, and our special publications. ... Want to find out about our new electronic publication? The electric interurban industry in Texas totaled nearly 500 miles, the second ...About 70 percent of the mileage was in the Dallas-Fort Worth area, where electric lines ... LeRoy O. King (Chicago: Central Electric Railfans' Association, 1982). By 1910 a network of interurban electric railways connected many of the cities ... to the Loop over the Chicago Elevated Railway's Northwestern line until 1919. Amazon.com: South Shore: Americas Last Interurban (9780870950032): William D. Middleton: Books.